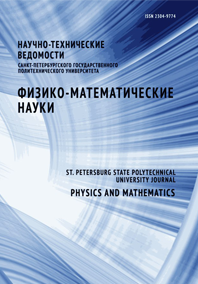 Pleshakov Ivan V. Dudkin Valentin I. Klekhta Nikolay S.
The questions related with the action of magnetic field pulses on the spin echo formation in a ferrite are discussed. The qualitative model of the observed phenomena is developed; the importance of the domain walls is shown. The results of the work should be useful for the improvement of the magnetic materials research technique.